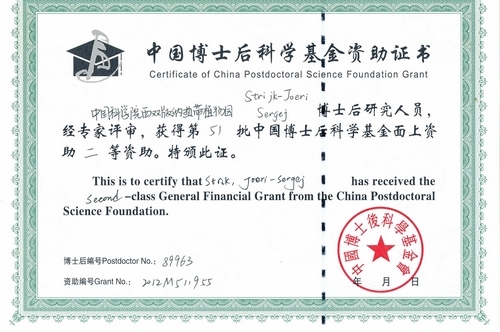 It’s announced that two post-doctors of XTBG, Joeri Sergej Strijk and Marie Fougere-Danezan, have received the second-class General Financial Grant from the China Postdoctoral Science Foundation. Joeri Sergej Strijk has extensive experience in botany, molecular systematics, and biogeography of tropical plant species and has worked specifically on the evolution and diversification of plant communities on isolated oceanic islands. He has a strong background in DNA bench techniques, bioinformatics, molecular dating and phylogeographic reconstruction, and is fluent in the use of computer techniques pertinent to these fields. Joeri has undertaken extensive field expeditions in South America, Central Africa and South-East Asia. He is currently undertaking the assembly of cp-genomes in several species of Lithocarpus (Fagaceae), assembling the first ever large scale dated molecular phylogeny of tropical Fagaceae (Lithocarpus, Castanopsis, Quercus, Trigonobalanus) and working towards a revised classification in these groups. 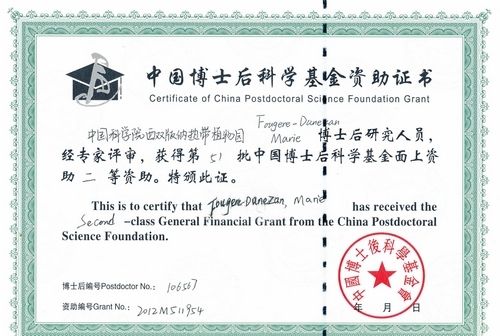 Marie Fougere-Danezan has an extremely broad background in chemical ecology, molecular systematics of the Roses of China, plant ecology, and extensive experience in bioinformatics and DNA bench techniques. Marie is currently assembling the genomes of several Ficus species and developing population-sensitive genetic markers. She has worked in China during the last four years and has sound knowledge of the biota and biogeography of China.